Mothers love us unconditionally. They uplift us when we’re down and remind us of the grace of humility when we excel. They make us better people. 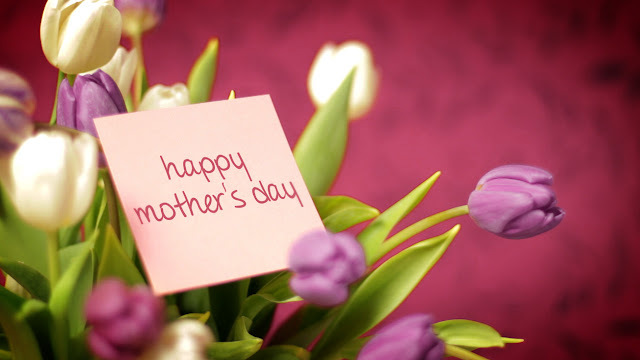 They are one of God's greatest gifts to us, and Mother's Day is a good time to express our gratitude to them. For the record: traditional Mother's Day in the Philippines is on the First Monday of December. But the truth is you can never have enough days for Moms, so why not observe both the Hallmark Holiday and the traditional Filipino one! This is an opportunity to honor and celebrate the mothers, grand-mothers, sisters, daughters and best friends - all of the beautiful nurturers and care-takers - in your life! Mothers unconditionally loves, cares and sponsors the highest possibilities for us. She is the face of love, heart of love, body of love in the manifest world. She is a fierce champion, loving friend, supporter, cheerleader and clearest mirror back to us of the greatest version of ourselves. She awakens us to our own goodness and possibilities for our life that are bigger than we can see for ourselves. She provides us not just with the physical resources we need to thrive but the encouragement and safe place to land that fosters our courage to play and risk big. Mother's Day changed when I married my wife. I saw my wife become what God created her to be. She helped me step back and see the whole divine picture. It's not just about the mom who packed your lunches for grade school or picked you up from a friend's house in the middle of the night. It's about the mom who made you, who grew you, who birthed you into the light. It's about the mom that woke up 483 times to nurse you, to change you, to care for your every whine. If we're not careful, we might forget that mothers are the vessels of life. They kept us alive. They allowed us to thrive. So don't just thank your mom for the love. Thank her for everything. Because without mothers there wouldn't be anything. Happy Mother's Day to all you moms out there. You have the hardest and most rewarding job in the world. To my beautiful wife, and mother of my three gorgeous children, Hannah Krystelle, Hezon Kyle and Hansel Kyro, I thank you all for being the blessings in my life.